The podcast that takes a look back at musicians, singers, songwriters, producers, composers and artists who are no longer with us. The Not Fade Away podcast is back and I am so excited to talk about today’s subject--the Altamont concert that took place on December 6, 1969. It was supposed to be a showcase by the Rolling Stones to demonstrate their ability to draw an even bigger crowd than the Woodstock festival which took place in August of that year. That concert was billed as “three days of peace & music” and managed to rise above their circumstances of overcrowding, rain and brown acid to become a legendary event that 50 years later serves as an example of how hippies can work peacefully with “the man” to create beauty out chaos. 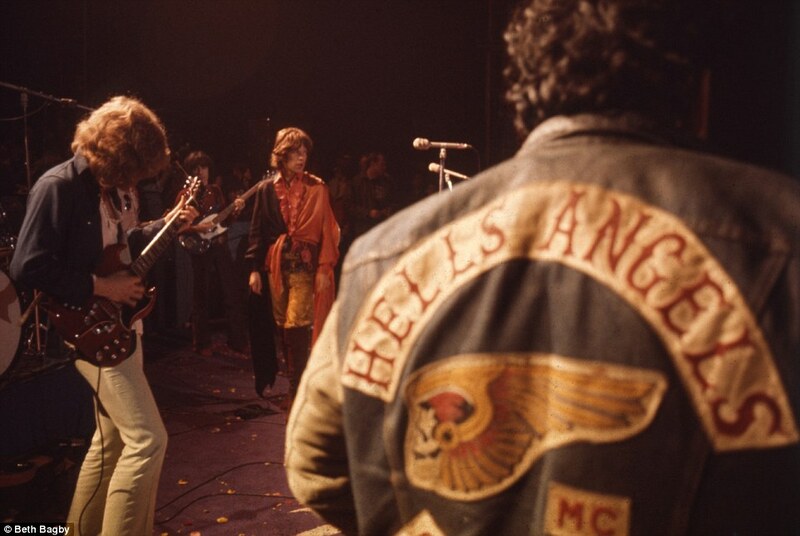 Instead, Altamont is rightly or wrongly known as one of the key events that ended 60s idealism. At the end of the day, 300,000 showed up at a tiny speedway far outside the city of San Francisco to find a barely visible stage, pissed-off Hell Angels members as authority figures, horrible drugs snuck into drinks that left people incapacitated, very few bathrooms, little emergency care, and four people dead. Among the deceased was an 18-year Meredith Hunter--an African American teen who was proud to bring his pretty, white teenage girlfriend Patti Bredehoft to the show but thought it would be wise to carry a Smith & Weston pistol for protection. Hunter was beaten and stabbed to death by a group of Hell’s Angels who claimed he was aiming to shoot at the stage. All of this was shockingly caught on film as filmmakers Albert & David Maysles were shooting a documentary about the shooting a documentary about the Rolling Stones which would be released in 1970 under the title Gimme Shelter. The concert, which was to feature The Grateful Dead, Jefferson Airplane, Santana, Crosby, Stills Nash & Young, The Flying Burrito Brothers, and the Rolling Stones as headliners were meant to rival the east coast Woodstock celebration. This is the story of how that concert came to be, what went wrong, the lives that were lost and what lessons we can learn from the mess of a show that was a mixture of rock star hubris, greed and youthful ignorance. Saul Austerlitz a Brooklyn-based author wrote “Just a Shot Away: Peace, Love and Tragedy With the Rolling Stones at Altamont” with a keen focus on Meredith Hunter and his tragically short life that was marked by chaos, family mental health issues and racism. Also, subscribe to the show so you won’t miss my next episode! If you like what you hear--please subscribe and leave a review. Also--send me a note via social media (@NotFadeAway) if you want to reach out. Thanks for checking out this podcast! If you have any suggestions for future eps--please reach out! In the meantime--follow me on social media!